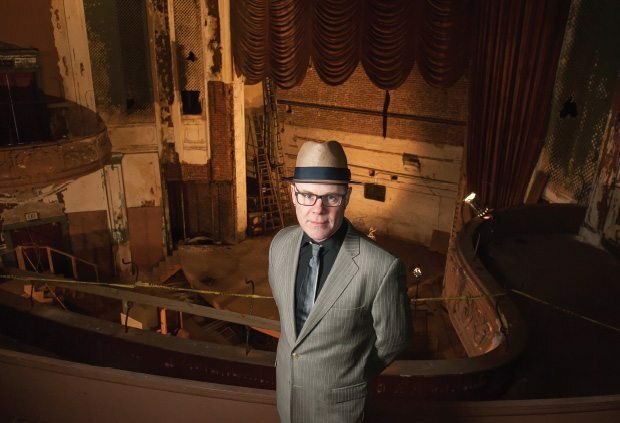 Thomas Dolby, the man best known in some circles for his hit song “She Blinded Me With Science,” has been named the Krieger School’s first Homewood Professor of the Arts. Beginning in the fall semester, Dolby, who has a storied career in multimedia ventures, will teach a course called Sound on Film to students from the Krieger School and the Peabody Institute. Dolby will also play a key role in the efforts under way to revitalize parts of the Station North neighborhood. Dolby will be relocating to Baltimore from his native Sussex, in southeast England. On a recent visit to Johns Hopkins, he said he is looking forward to teaching and to becoming involved with the Parkway and 10 E. North Avenue renovation projects. Dolby has been busy since the 1982 release of his first album, The Golden Age of Wireless. He released four acclaimed albums in the first 10 years of his solo career. Over the past two decades, he has adapted his musical vision to feature films, video games, and electronic sound technology. In 1994, Dolby founded Headspace Inc. and created the Beatnik audio engineer, an early software synthesizer. It was designed as a component for video games, but Dolby saw its potential for use in Web browsers. Beatnik eventually came to the attention of Nokia engineers, who sought a sound solution for their mobile phones. By 2005, Dolby’s technology was in more than half of the world’s mobile phones. Dolby’s most recent career was as musical director for the TED (technology, entertainment, and design) conferences from 2001 until 2012. “To be able to add this extraordinary talent to our community of award-winning filmmakers and screenwriters is a huge boon to our film program and to the Station North efforts,” said Katherine Newman, dean of the Krieger School. Dolby’s appointment is made possible in part through a grant from the Andrew W. Mellon Foundation and support from the Faxon Fund for Practicing Artists. Last year the Mellon Foundation gave Johns Hopkins $1.2 million to launch a collaboration between the Krieger School and the Peabody Institute and to support initiatives aimed at strengthening the integration of the arts into academic life.